Three necklaces packed nicely in a box with ribbons ready to be given as a gift. 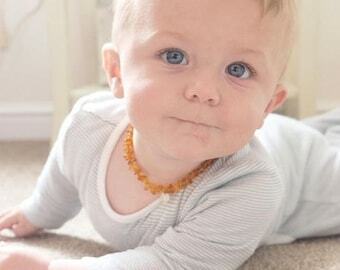 Choose three handmade amber teething necklaces. 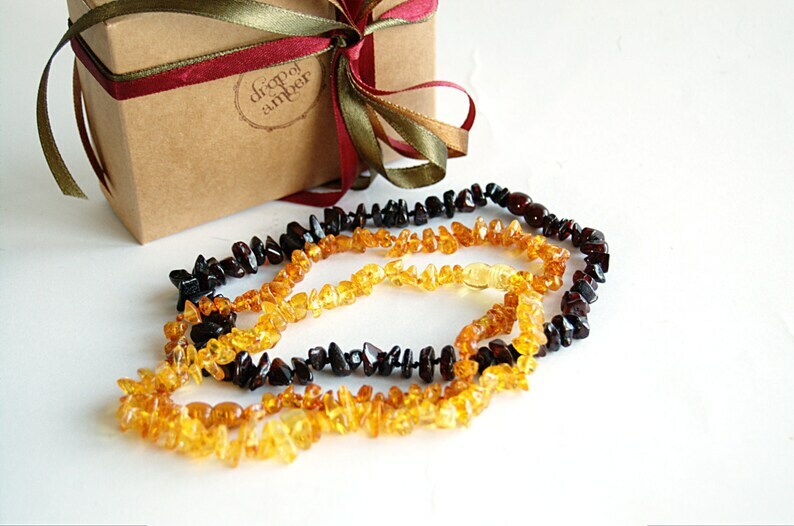 I have made them from Baltic amber hand gathered on the shore of the Baltic sea. Fastened with safe tension release fastening. Each piece of amber is placed between knots to prevent loosing amber if the necklace breaks. The necklaces are 12-13 inches/33cm long. You can choose from honey, butterscotch, cognac, cherry, mixed honey and butterscotch, mixed or ombre colored amber. Just add a note when you buy which colors you would like to have.